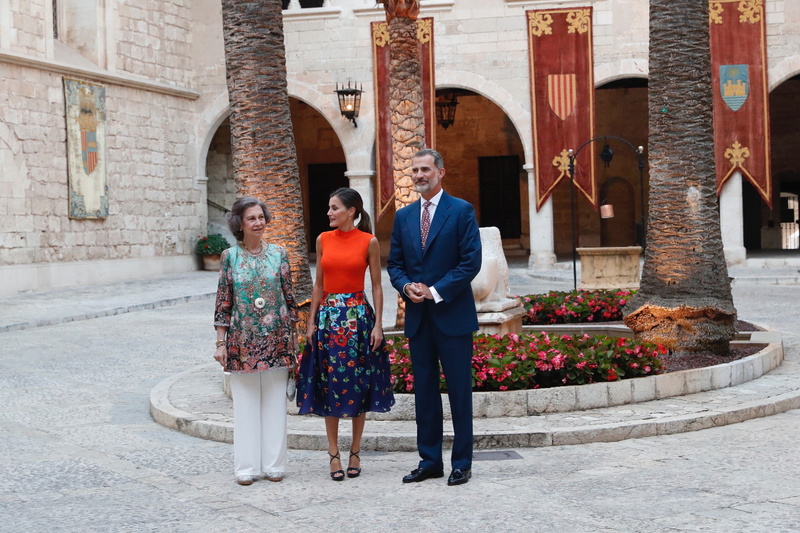 On Friday evening, King Felipe and Queen Letizia welcomed the representatives Balearic Society at Royal Palace of La Almudaina in Palma de Mallorca. 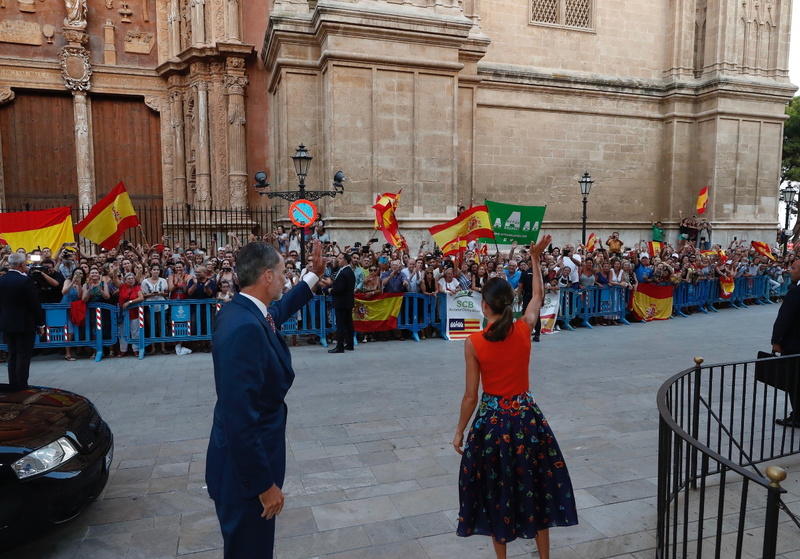 Every year during their summer stay at the Palace of Palma, the royal couple give an annual reception to the authorities of the Balearic Islands and to a representation of Balearic society. 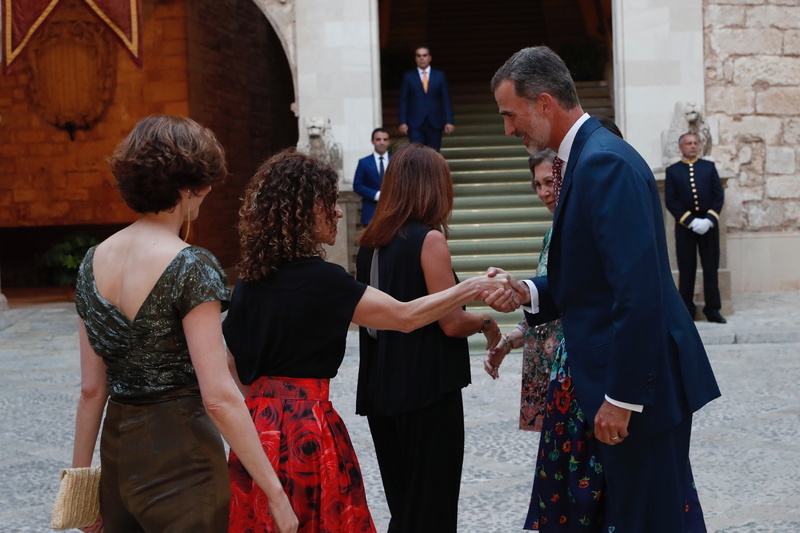 Felipe’s Mother, Queen Sofia also joined the royal couple at the reception that was attended by the 450 guests. 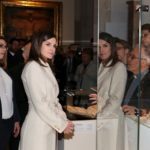 For the summer evening, Queen Letizia chose a very colourful and floral ensemble. 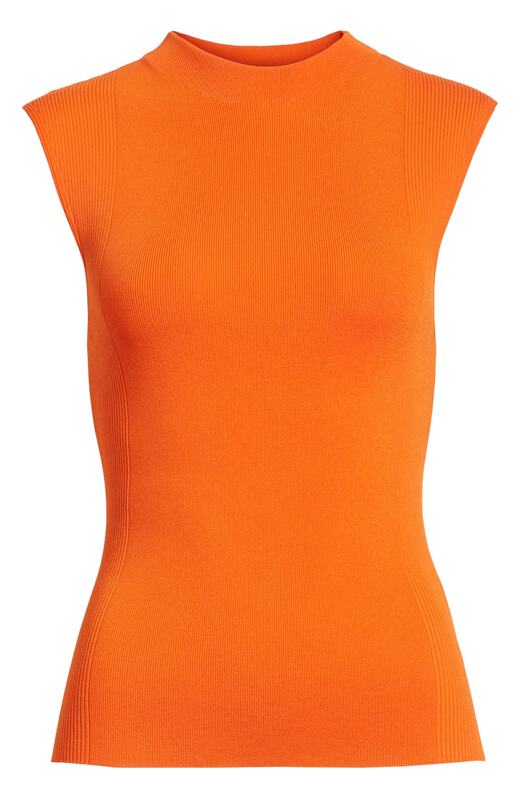 She was wearing ‘Fasmine Knit Shell’ top in orange tone from her go-to label Boss. 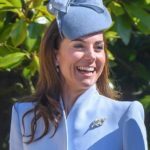 The sleeveless top is described as, “Infinitely versatile, a mock-neck shell layers beautifully in a slim, lightweight cut with contrast ribbing at the sides”. It is currently retailing at Nordstrom and Saks Fifth Avenue for $165 and also available in black, vanilla light and dark lilac tone. 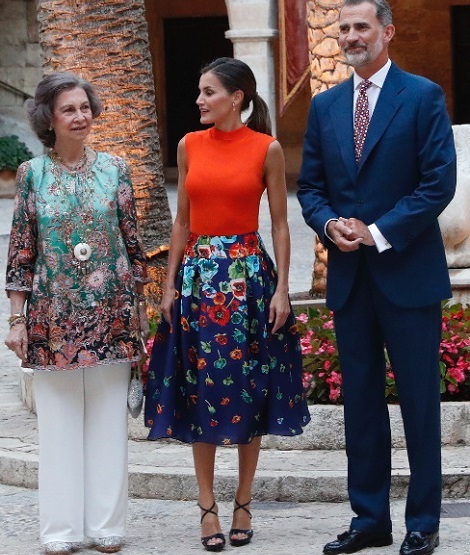 Letizia teamed up the knit top with blue skirt with multi-colour floral print from Carolina Herrera. 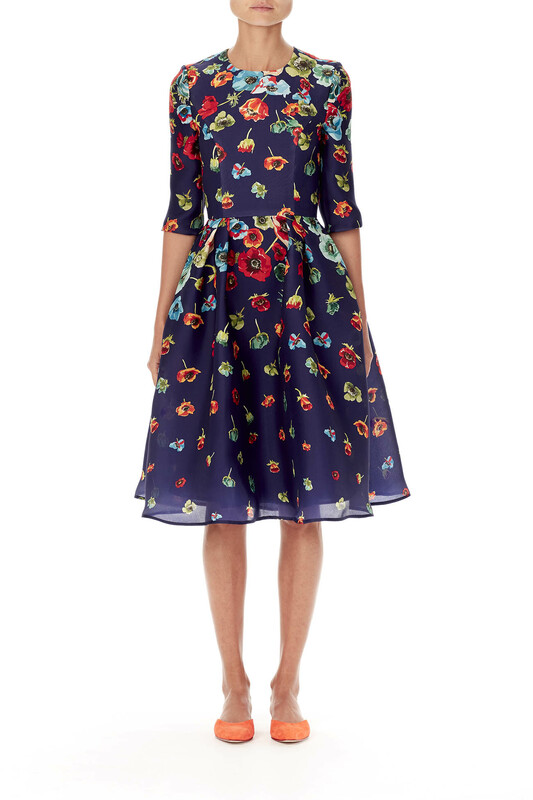 The custom skirt is based on label’s 2019 Resort Collection. 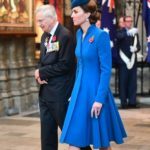 Queen was seen wearing blue cross-strap platform sandals from Magrit. The style is based on label’s Marine model. Her white gold and citrine diamond earrings finished the look. 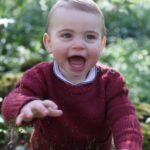 I hope to see the royal couple at least few more times in the next few weeks of their summer stay. 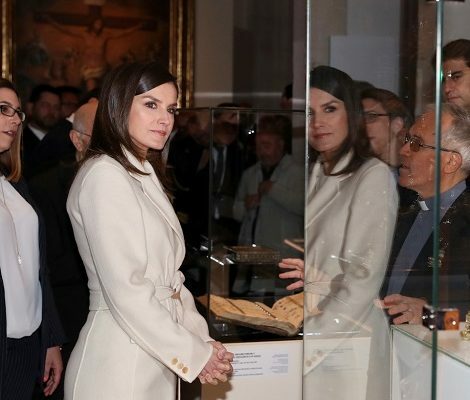 Here a look back to Letizia’s previous year’s outfits for the annual reception.